In a landmark judgment by the European Union Intellectual Property Office (EUIPO), the office said that McDonald's had not proven genuine use of the contested trademark as a burger or as a restaurant name. Supermac's had formally submitted a request to EUIPO to cancel the use of the Big Mac and Mc trademarks that McDonald's has registered in certain classes. McDonald's had previously succeeded in putting a stop to Supermac's plans to expand into the UK and Europe on the basis of the similarity between the name Supermac's and the Big Mac. Supermac's said the judgement means that the main argument put forward by the US company is now gone. Supermac's managing director Pat McDonagh said it represents a victory for small businesses all over the world. 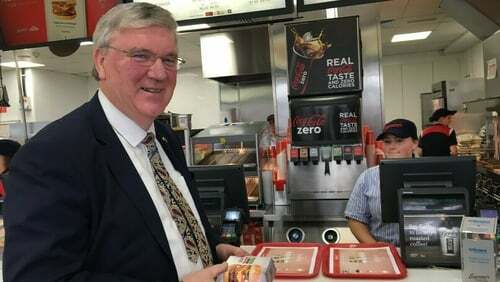 "We knew when we took on this battle that it was a David versus Goliath scenario but just because McDonald's has deep pockets and we are relatively small in context doesn’t mean we weren’t going to fight our corner," Mr McDonagh said. "The original objective of our application to cancel was to shine a light on the use of trademark bullying by this multinational to stifle competition." He said: "We have been saying for years that they have been using trademark bullying. "They trademarked the SnackBox, which is one of Supermac's most popular products, even though the product is not actually offered by them. "This is the end of the McBully." "This decision by the European Trademark Office is also an indication of how important the European institutions are to help protect businesses that are trying to compete against faceless multinationals." Speaking on RTÉ's Sean O'Rourke show, Mr McDonagh said that McDonald's had registered quite a number of names, right across the world, including "Mac Internet" or "Mac Country". He said the decision opens the door for the company to register its own Supermac's in Europe as a trademark. In a statement a spokesperson for McDonalds said: "We are disappointed in the EUIPO’s decision and believe this decision did not take into account the substantial evidence submitted by McDonald’s proving use of our BIG MAC mark throughout Europe. "We intend to appeal the decision and are confident it will be overturned by the EUIPO Board of Appeals. Notwithstanding today’s decision, McDonald’s owns full and enforceable trademark rights for the mark "BIG MAC" throughout Europe."